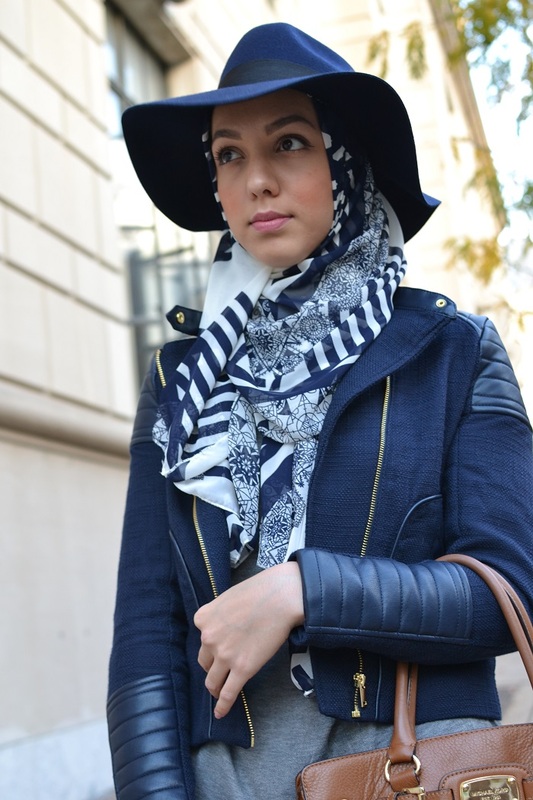 This outfit was put together around this lovely hijab which I received from Ahfif (linked above). 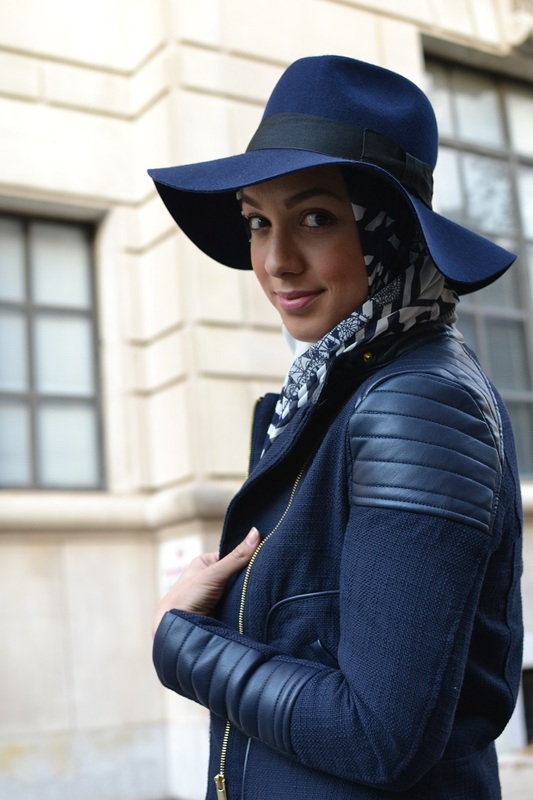 I love navy blue this season and I was thrilled when I found a navy jacket and hat at H&M to match. (I couldn't find the jacket online but I still see it in stores so you can go on the hunt if you want it!) 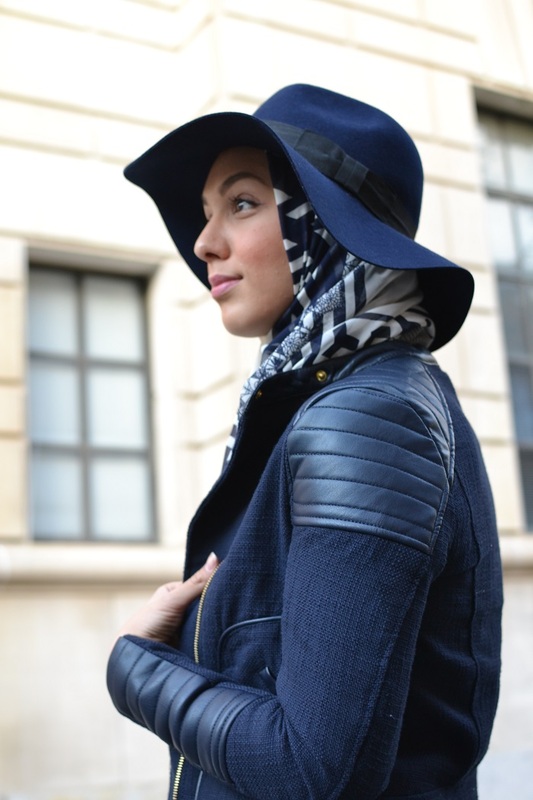 I love Ahfif because it's basically any girls dream come true.. they do the shopping for you! They bring together the cutest items from around the world and different designers all in one place for you to shop from. 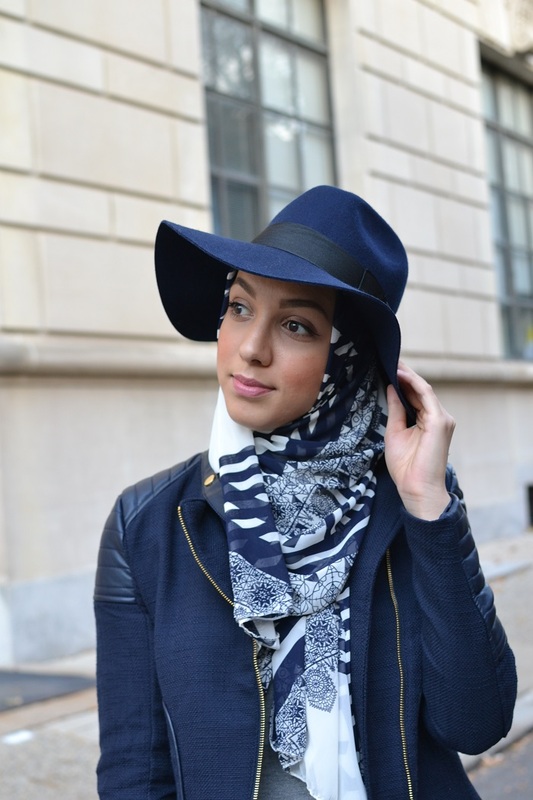 Make sure you check them out for the latest trends and styles!